PocketFullOfApps | Official ‘Squids’ Soundtrack from The Game Bakers now Available! Official ‘Squids’ Soundtrack from The Game Bakers now Available! Indie development studio The Game Bakers has released the Squids official soundtrack, a collection of catchy original compositions by Romain Gauthier. An underwater epic that stars a ragtag team of cephalopod heroes, Squids swam up the App Store charts last autumn to become the App Store’s #1 RPG in 51 countries and the #1 paid app in France. The soundtrack can be downloaded from this link, with the title track offered for free. For a very limited time, customers can pay whatever price they choose for the full 11-track album, with all proceeds contributing to the independent production of an upcoming Squids sequel. 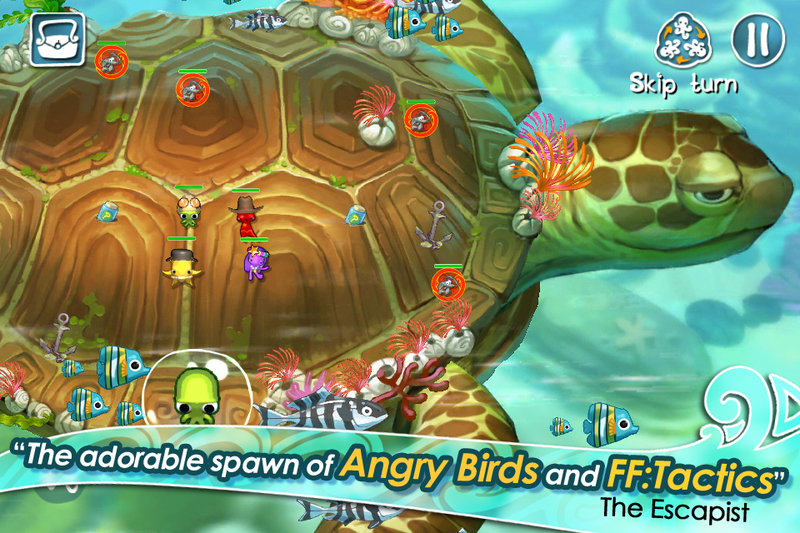 Squids players command a small army of stretchy, springy sea creatures to protect an idyllic underwater kingdom. Since its October release, this creative game has had more than 100k downloads and quickly became a fan favorite, earning an average 5-star user rating. The game’s mix of grand adventure elements and whimsical cartoon fun is reflected in Gauthier’s music, which blends classic RPG tropes with lighthearted mandolins, steel drums, and synthesizers. The soundtrack purchase includes a digital booklet with colorful Squids artwork and liner notes from the composer. Initially an iOS exclusive, Squids will also release for PC, Mac, and Android in the coming months. To learn more, visit the developer’s website or join the Squids Facebook community. Entries (RSS) | Comments (RSS) | 85 queries in 0.590 seconds.